A gift from Ford for President-elect Donald Trump: The automaker on Tuesday announced that they will no longer construct a $1.6 billion plant in Mexico. Instead, they will create 700 new jobs in Michigan by way of a $700 million investment in the state. CEO Mark Fields made clear that “we didn’t cut a deal with Trump,” who had been highly critical of the planned Mexico move, though Fields did speak with him Tuesday morning. “We did it for our business.” With that said, he called it a “vote of confidence” in the pro-business America Trump has vowed to foster, reports CNN. The Michigan money will be spent at its Flat Rock plant, where it will manufacture more electric and self-driving cars. The now canceled plant in Mexico was to be the site of Ford Focus production. 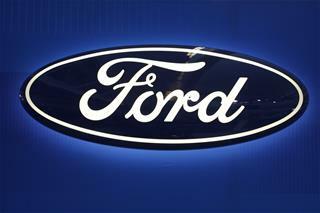 The Focus will instead be made at Ford’s plant in Hermosillo, Mexico. Do you think companies in your country should build plants in other countries? Why or why not? What are the names of some international companies in your country? What are some of the popular cars in your country? Why? The name of the car manufacturer in the article is __________. How much was the new plant in Mexica going to cost to build? Where will the money be spent in Michigan? Where will the Ford Focus be produced now?